3.9.5.10 Overhead costs consist of the costs of central services or support functions shared across departments. They may include accounting, human resources, payroll, information technology, janitorial services and others. Overhead costs may include not only the salaries, wages and benefits of the employees who work in these departments, but the utilities, supplies, information technology, building maintenance and other costs that support these employees. Typically, such services are initially paid through the general fund or an internal service fund and charged back to the departments and programs that directly benefited from them. The cost allocation process must be guided by an overhead cost allocation plan that describes how the organization will allocate costs reasonably and equitably across funds and departments and identifies the documentation required to support the charges. 3.9.5.20 Under state law, government officials may charge a portion of the costs for their central overhead services to restricted funds, like utility funds or special revenue funds, only to the extent that each fund benefits from those services. Utilities charge user fees based on the cost of operating the utilities, and deposit those fees into utility operating accounts. Other restricted funds have dedicated revenue streams that can only be used for specific purposes. Governments must not allocate general government service costs, such as public safety, parks, law enforcement, community and economic development, or worker apprenticeship programs to the utilities or to other funds with restricted revenue sources that cannot pay for such charges. 3.9.5.30 RCW 43.09.210 indicates that when one fund is charging another, the fund being charged may only pay for the actual costs of the services it receives. Governments are expected to document those services and the costs of providing them to demonstrate these charges are fair, equitable and valid and reflect services provided. All service rendered by…one department, public improvement, undertaking, institution and public service industry to another, shall be paid for at its true and full value by the department…receiving the same, and no department, public improvement, undertaking, institution or public service industry shall benefit in any financial manner whatever by an appropriation or fund made for the support of another . . . .
3.9.5.50 Unlike all other funds, the general fund’s revenues consist largely of unrestricted sales taxes and property taxes that can be used to support any fund or undertaking of the government, including utilities or other restricted funds and their share of government-wide overhead costs. In contrast, a utility fund’s revenues consist of user fees that are restricted to paying for the costs of operating the utility, including necessary capital and debt service costs. 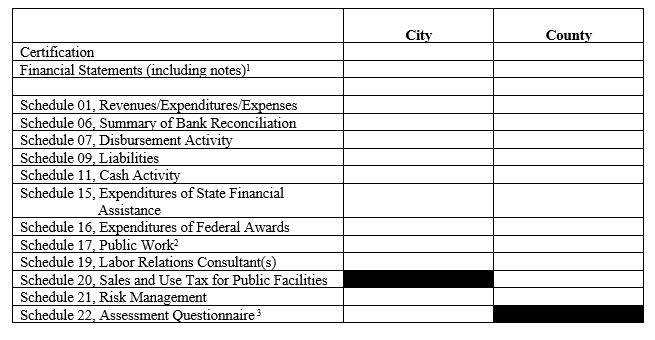 These user fees cannot be used to support other funds or general government activities that benefit the public at large. Utility funds and other funds with restricted revenue sources should only reimburse the general fund for costs incurred to render services to those funds. Overhead allocation plans that equitably share overhead costs facilitate compliance with the above statute. RCW 35A.33.122 Administration, oversight, or supervision of utility - Reimbursement from utility budget authorized . . . Whenever any code city apportions a percentage of the city manager's, administrator's, or supervisor's time, or the time of other management or general government staff, for administration, oversight, or supervision of a utility operated by the city, or to provide services to the utility, the utility budget may identify such services and budget for reimbursement of the city's current expense fund for the value of such services. 3.9.5.70 Consistent with state law, local government is not allowed to charge general government costs that benefit the public at large to the utilities or to other funds with restricted revenues that cannot pay for such costs. General government costs that benefit the public at large, such as police, parks and recreation, community and economic development, worker apprenticeship programs, and other similar costs should not be charged to the utilities or to other funds with restricted funding sources that cannot be used for such expenditures. These costs do not benefit the utilities and may not benefit other funds with restricted revenue sources. In most instances, these costs must be charged to the general fund. 3.9.5.80 Local governments should carefully consider whether to charge the costs associated with elected officials to the utilities or other funds with legally restricted revenues. Ask the following question: “Do elected officials benefit the public at large in the form of citizen representation, or do they benefit the funds they oversee or legislate (municipal code, budget, etc. )?” If governments choose to allocate executive and legislative costs to the utilities or other funds with restricted revenues sources, they should exercise caution and should maintain documentation to show that those charges are equitable and reflect the cost of actual services provided to the utilities and other funds with restricted revenues. If local governments decide to allocate council/commission/oversight board costs across funds, the use of agenda items as the basis to allocate these costs across funds likely results in a fairer and more equitable allocation than one based solely on budgeted expenditures. Cities, counties and other local governments are typically prohibited by OMB Circular A-87 attachment B, section 19 from allocating the costs of elected officials to federal grants. 3.9.5.90 Local governments must allocate overhead costs fairly and equitably to those funds that benefit from overhead services. Charges to the benefiting funds must not exceed the cost and level of service that each fund receives. 3.9.5.100 The beneficiary pays principle provides a foundation for cost allocation. Under this principle, the extent to which a support service provides a benefit to a fund/department, and the cost of providing those benefits, guides how much of the cost is paid by the fund/department. To achieve equity, the overhead allocation process must be well designed. By using leading practices for allocating overhead, local governments ensure they charge their utilities and other funds fairly. 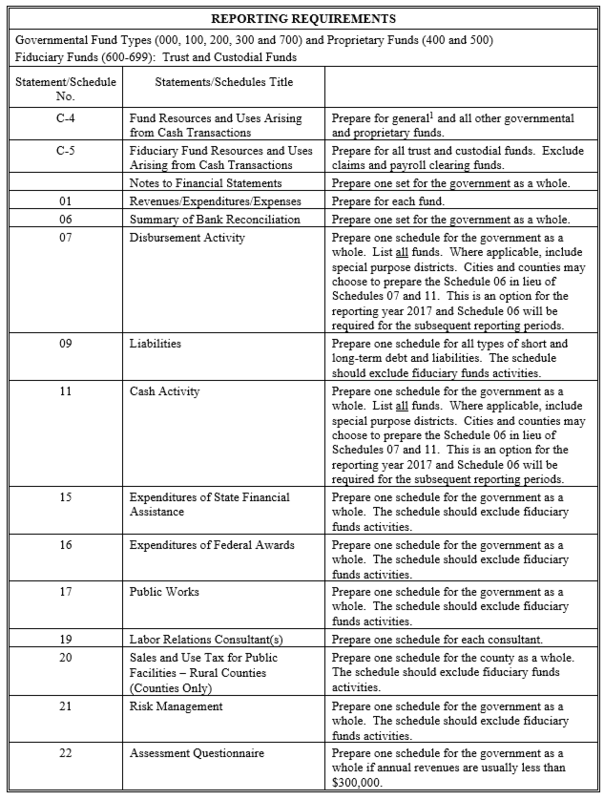 Such practices for allocating overhead among funds are discussed in the federal OMB’s Circular A-87 and its corresponding Implementation Guide, a study by the U.S. Government Accountability Office, and our performance audit on Local Government Allocating Overhead Costs published November 28, 2011. 3.9.5.110 Sound practices start with a written cost allocation plan. Written overhead allocation plans document why and how an organization allocates overhead costs. The sound practices identified by our performance audit for accurately and equitably allocating overhead costs are summarized in Exhibit 1. These practices and requirements apply to all overhead cost allocations, including those that are accomplished through the use of internal service funds. 3.9.5.120 Additional resources are available at the Center for Government Innovation and the GFOA Best Practices. 1. Develop and maintain an overhead allocation plan that reflects decisions about which overhead costs will be allocated to which funds or departments and on what basis. a. Include relevant, up-to-date information about overhead and how to allocate it equitably. It must describe each overhead cost center, which costs are allocable and which are not, and what allocation factors and data sources will be used to calculate the allocations. It must describe the decisions made and the rationale for those decisions. It must contain the calculations of overhead charges to each fund and department. Cities, counties and other local governments should update the plan annually. b. Use factors that equitably allocate central overhead costs to each fund or department. Allocation factors are used to allocate overhead costs to departments and funds that benefit from overhead services. Different factors are necessary to equitably allocate the various overhead costs. For example, square footage is an appropriate factor to allocate maintenance and janitorial costs. The number of transactions is an appropriate factor to allocate accounting costs. Good allocation factors result in each fund and department paying only for the overhead services it received. Local governments must ensure that allocation factors are based on current and accurate information. If estimates or budgeted figures are used, governments should adjust them to actual at least annually. 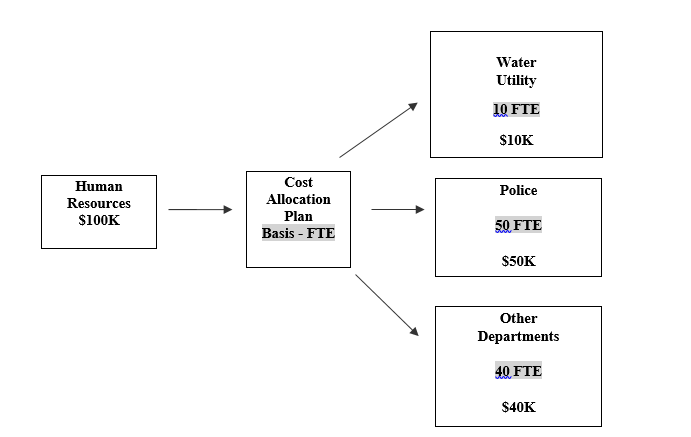 Exhibit 2 shows appropriate allocation factors for common types of overhead costs. c. Allocate overhead to all benefitting funds and departments for overhead services received. If governments decide not to charge overhead to a particular fund or department, the general fund must absorb that fund or department’s share of the costs. Excluding a fund or department from the calculation results in overcharges to all remaining funds and departments. d. Ensure that general government costs or questionable costs that do not clearly benefit the utilities (or other funds with legally restricted revenues) are charged entirely to the general fund. The primary purpose of general government programs is to serve the public at large. Charging such costs to the utilities or other funds with restricted revenue sources that cannot pay for such expenses is questionable because they do not support these funds. The costs of such programs are typically paid for by the general fund. a. Charge departments and funds only after overhead services are provided. Overhead allocation plans allow a government to forecast the amount of overhead it will charge each department in a given year. Although costs can be charged quarterly, monthly or more frequently, they must always be charged after services are rendered. If the general fund charges overhead costs before services are rendered, it has borrowed money from other funds, and interfund loan rules must be followed (Loans). b. Charge departments and funds only for actual costs. If local governments charge departments and funds based on estimated overhead costs, they should reconcile and adjust those estimates to actual costs at least once a year. Similarly, OMB Circular A-87 requires such reconciliation and adjustment if estimated overhead costs have been allocated to federal grants. 3. Maintain appropriate documentation to support what overhead costs were charged to each department and fund, the amount of the charge and how it was determined. State law (RCW 43.09.210) says that when one fund charges another for services provided, the receiving fund should pay the full value of the services. 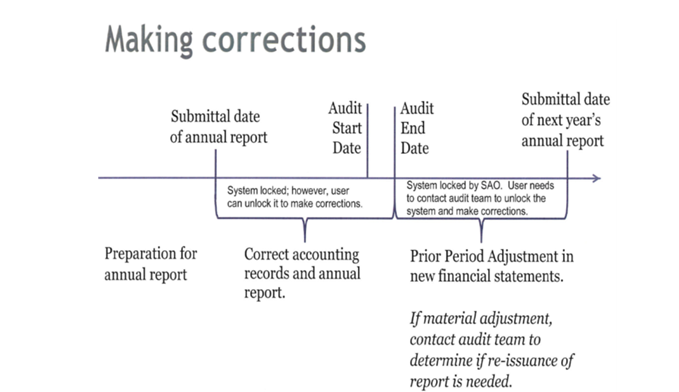 Governments cannot demonstrate compliance with this law unless they maintain documentation that shows (1) the cost of each overhead cost center, (2) the level of service each provided to benefitting funds and departments and how it was determined, and (3) the amount charged to each fund and department. 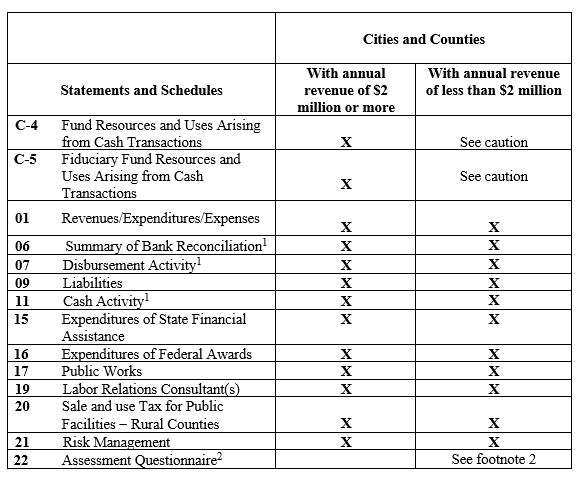 Notes: If local governments are allocating other overhead costs not shown above, they must choose allocation factors that result in allocations that are fair, equitable and reflect the cost of services actually received by the benefiting funds. (a) Using actual expenses, budgeted expenses, the number of staff – or a combination of the three – can all result in fair and equitable allocations. Governments must document why the approach they selected results in fair and equitable allocations that best reflect the cost of services actually received by the benefiting funds. (b) Ports alone may not be the best basis for organizations that have moved to a wireless network model.